Foreign buyers of property in London have raked in profits of up to 39% in the last 12 months alone, according to estate agents Knight Frank. 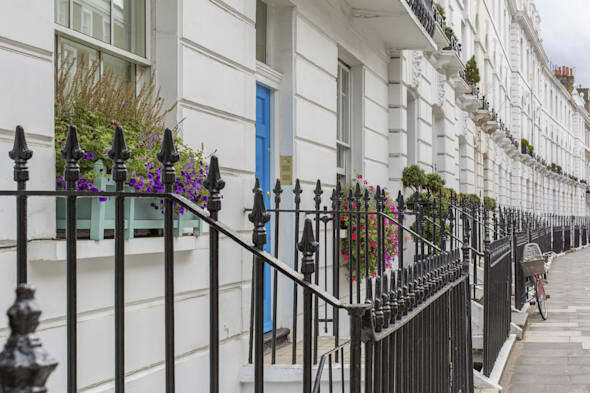 Indonesian, Australian and Chinese buyers who bought in prime London a year ago have seen their property asset appreciated by 37.8%, 32.5% and 18% respectively, claims Knight Frank. "But for that same cohort of buyers looking to buy in 2014 the strengthening pound has made a London investment comparatively more expensive," Knight Frank warns. Some of the returns really do rocket, depending on the permutations of exchange rates, nationality and selling prices. In the year to March 2014, one of the largest uplifts would have been enjoyed by a Turkish buyer buying in Dublin - they would have seen a possible 58.3% return claims Knight Frank. While the pound slipped 20% from 2006 to 2010 since 2010 it has outperformed nearly all rival currencies apart from the Swiss franc. The future though for international, cross-border property buyers looks more shaky. Quantitative easing is slowly being eased in the US, meaning less cheap borrowing. There's still much uncertainty around the Chinese economy while, on home turf, future UK interest rates are only headed in one direction: up. Could sterling, then, rise further? With the UK's budget deficit expected to narrow once the global economic recovery is back on track, that may lift the UK economy - and sterling says currency analyst Kamil Amin from Caxtonfx. "If Carney [Bank of England governor] continues to play up the possibility that the BoE could act before the end of the year, we could even see another sterling rally which will almost certainly result in sterling reaching a new high against the euro." In other words, the currency advantage for many overseas property buyers now looks over - at least in the UK. "With prime price growth slowing in London," says Knight Frank, "and falls being seen in Hong Kong and Singapore, buyers may start to identify profit-taking opportunities and look instead to low risk, tier two cities where capital appreciation may be strongest but in countries with weakening currencies."